Here’s our round-up of need-to-know social media & content news from the last few months and what it means for your digital marketing. If your business has a Facebook Page, you can’t have failed to notice that your content is reaching fewer and fewer people. Throughout the past year, Facebook has been rolling out updates to its News Feed which have gradually suppressed content published by Pages in order to improve user experience. At the end of last year, Facebook announced further changes which specifically target “promotional content” from Pages such as offers, competitions and product announcements – meaning we’re pretty much at the stage now that organic reach on Facebook is, at best, incredibly difficult to achieve and, at worst, non-existent. Therefore, it’s now essential that your Facebook strategy comprises two different strands: ‘paid promotional’ and ‘organic engagement’. In other words, if you want your content to be seen, you need to be combining advertising with publishing quality content that resonates with your audience. By separating activity into these two different strands, you’re getting your promotional content in front of your target audience, as well as building relationships with existing customers – which is essential for delivering a stand-out customer experience. Image via Maria Elena on Flickr. Despite reducing Page reach, Facebook maintains that Pages are an essential part of any brand’s social strategy. Of course they do, advertising is how they make their money. No matter how cynical you are about Facebook’s methods though, the fact remains that it’s still the biggest social network and – for almost every retailer – this is probably the place that most of your customers are hanging out in their spare time. In order to help brands make Pages more tailored to achieving their marketing objectives, Facebook is rolling out Call To Action Buttons including ‘Book Now’, ‘Shop Now’ and ‘Sign Up’ – so keep an eye out for these becoming available for your Page. Towards the last quarter of 2014, Pinterest stopped showing users pins from everyone they follow in their feed in chronological order by introducing an algorithm called the Smart Feed. This means that when you log on to Pinterest now, you will see pins from three different sources: people you follow, related pins and pins that Pinterest thinks you’ll like based on your interests. The highest quality pins (determined by a number of different factors) are pushed to the top of the feed, making them more likely to be seen. The Smart Feed also ensures that you aren’t being shown the same pins over and over again each time you visit the site. 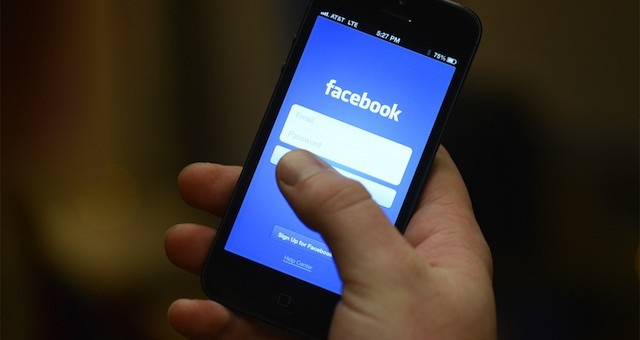 Social media users are becoming so bombarded with advert-style messaging that they’re getting pretty good at shutting out the noise – one of the reasons for Facebook’s decision to suppress promotional posts. With every piece of content you post in these social spaces, you’re competing for peoples’ attention not just with other brands, but with their friends, family and favourite celebrities too. If you’re just shouting about buying your products or services, then you’re never going to cut through all of the more interesting things that your audience could be looking at. What’s the solution? Listen to your audience, get to know them, understand what they talk about, use the same language as they do and show that you care about the same things as them. There’ll be a reason why they followed you in the first place – because something about your brand resonated with them. Build on this by creating content that builds relationships. It’s only by nurturing your audience and showing an interest in them that you create a brilliant customer experience. There are numerous tools available that you can use to monitor not just what people are saying about your brand name, but around terms relating to your product too – for example, if you sell coats you could monitor conversations around the weather being cold and join the conversation where appropriate. As you go along and discover these communities online, make a note of where most of the relevant conversations are going on – these are the primary channels you should focus on. Also pay close attention to the questions that your audience are asking – can you produce content that answers these questions for them and direct them to it via social? Or do your products solve their problems in themselves? It’s been a controversial subject ever since Google released its first Penguin update, penalising sites that had focused their SEO strategy on building up hundreds or even thousands of low-quality, paid-for links. Subsequent updates and clarifications to Penguin saw Google telling webmasters that ANY followed link which had been paid for in any way – either by exchange of cash or goods – was at risk of attracting the wrath of Penguin. While for SEO purposes you have to earn links, this doesn’t mean that sending products to bloggers for review or engaging in commercial collaborations shouldn’t be part of your strategy anymore. Blogs which are read widely by your target audience are hugely important for raising brand awareness and driving quality traffic which converts. Even though these links won’t hold natural search value, don’t ignore them. Most importantly, a relationship that starts with a paid promotion can be nurtured to create an influential brand advocate – it might even result in editorial coverage and an earned link at a later date. Header image via Jason Howie on Flickr. Creativity is a strange concept. When flowing freely it’s one of the most satisfying and rewarding parts of a content marketer’s daily work. So, what happens when you get ‘creative block’? Blame it on the work you’re doing? After all it’s not your fault – there’s just no way to make accounting / car parking / [insert chosen industry perceived as more straight-laced than others here]. WRONG! Getting creative with your content marketing should never be dependent on the perceived ‘coolness’ of a business’s products, service or sector. In this blog post I will highlight some great tips for creating engaging brand content. Imagine you’re creating content for a car parking business. The way to generate unengaging, non-sharable content is to focus on the details and nothing else. A blog post or maybe downloadable guide with pricing for each car park the company owns. Boring, right? What if you flipped that pricing data on its head, creating an online app that worked out the cost of a taxi home after a night out in direct comparison to leaving the car in an overnight car park? You could launch it in tandem with a drink driving awareness campaign, perhaps results could be sharable and each time an app user shares their savings they are entered into a contest for a month of free parking. Takeaway: The data is there – it’s being creative with it that governs a campaign’s success. In order to think bigger picture and step away from the detail of a brand, it’s important to connect the dots to discover creative opportunities that are not immediately obvious. Creating a mind-map is a great way to help make these new connections. One of our own clients, Flexioffices, provides serviced office space throughout the UK. On first impressions you could think that all content needs to be about available space and current property offers. In reality, there are so many topics linked to office space, such as business issues, or top tips for creating a happy workplace. We chose to look at what affects employee productivity, making the link with exercise during the working day and exploring the benefits of a lunchtime run. This allowed us to collaborate with fitness and running bloggers, getting them to run a route around Flexioffices’ Shoreditch office locations – securing natural links to the homepage and Shoreditch location page in the process. The results – increased search visibility, enhanced brand awareness and fantastic blog coverage on blogs not immediately obvious in their connection to an office space provider’s brand. A fantastic example of a brand positioning itself as a beauty product for ‘real women’ is Dove. This wonderfully emotive series of videos focuses on the story of several women who have lost sight of how beautiful they truly are, with the subtext being a story of today’s media pressures on body image and expectations of women. I will let the video do the talking, but it’s a moving example of how emotion and real people make for captivating viewing. If you can create emotional connections with your brand, you are onto a winner. ‘Newsworthy content’ is the type of content that you yourself would read – irrespective of whether you were specifically on the lookout for it. It’s not just about a catchy headline, your newsworthy content needs substance and one great tactic is to run a survey. This is because journalists know that the stories they create are given far more weight with some well-placed data involved. If you can provide that data for the journalists, without them having to do the legwork, then you’ve got a great chance of your story being picked up. The key here is to create a ‘hook’ for the journalist, giving just enough information in your press release, leading into a link to your blog or website’s news section where the full story / full results from a survey will be hosted. Reaching out to journalists with interesting content for their publications is a sure fire way to increase awareness of your brand and even establish valuable links back to your website. Google’s algorithm rewards fresh, highly relevant onsite content, so it should be a key focus of any content marketing strategy. NB it is important to note that any ‘follow’ links you generate from PR outreach should be from reputable sites with high domain authorities that are relevant to your brand. Google frown upon ‘follow’ links from article placement sites and as such this is a big no-no. Analysis and monitoring is always the key to developing future campaigns that fly. Make use of Google Analytics, social reporting, press coverage tracking tools and brand listening to learn what worked and what didn’t during and after each campaign you run. When your brand’s campaigns ooze creativity, you will frequently reap what you sow, achieving results above and beyond your original campaign objectives. We have delivered several campaigns at Leapfrogg where enhancing search visibility was the primary objective, but a by-product is often sales transactions, enquiries or improved rates of social media interaction. Go forth and let your creativity run wild! Hello and welcome to our Weekly Shop news digest. This week, we talk about the end of Google Authorship, mobile visits to retail websites topping PC for the first time and the world’s best ecommerce checkouts. According to a new study, almost half (48%) of the UK’s online shoppers buy from their beds, while another study found that 70% of UK smartphone users check their phones as soon as they wake up. These two studies highlight how consumer habits have changed and how marketers need to provide engaging content outside of traditional time frames. Another study from the IMRG this week, has found that 52% of traffic to retail websites now comes from mobile devices of one form or another, outstripping traditional desktop traffic for the first time. In 2010, this figure was just 3%. What exactly makes an excellent checkout process on an ecommerce site? To answer this question, Econsultancy has compiled a list of 11 checkouts which constitute examples of best practice, which include examples from Wiggle, ASOS and Hunter Boots. Amazon has recently acquired video platform and gaming community Twitch Interactive and it has been reported that the ecommerce giant is also reportedly developing an ad network that could leverage the data it already has on its roughly 250 million users, to challenge Google and Microsoft by delivering better targeted ads. More over on Clickz. Having removed author photos from the SERPs in June, Google has now removed authorship altogether from search results. Under the authorship scheme, writers could add the rel=author markup to their bylines, linking them to Google+ pages . Google has stated that they have removed author information because it wasn’t useful to users and actually distracted from search results. This article from Econsultancy explores various SEOs reaction to Google’s decision. Did you catch the latest posts of the Froggblog this week? Our senior natural search consultant, Ben Adam, explores how online retailers can benefit from Google Analytics Enhanced Ecommerce and with only 110 days to go, the Leapfrogg team share their tips and tactics on how retailers can start planning for the festive season. Welcome to a new edition of the Weekly Shop – our digital marketing and retail news roundup. This week we have been reading about creating customer experiences that people remember, lessons from John Lewis’ successful mobile strategy and link building habits to break now. To kick us off this week – an interesting read from Econsultancy about how digital experiences need to become more like human to human relationships in order to create the types of experiences that people remember and want to share. The second annual UK Mobile Path-to-Purchase Study conducted by Nielsen has found that as many as 46% of UK consumers now use mobile devices as their primary tool for purchase decision making. In addition, one in four use mobile devices as their exclusive shopping research tool. These findings confirm that mobile is a becoming an increasingly powerful part of today’s consumer purchase process. While we’re on the subject of mobile, at the start of the year, John Lewis announced some impressive year on year sales figures, along with the revelation that more than three quarters of its site traffic on Christmas Day came from mobile devices. 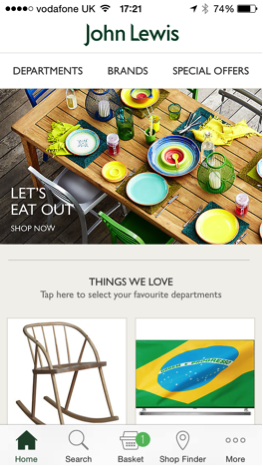 This article from Econsultancy takes a look at what John Lewis’ is getting right with its mobile strategy and what lessons can be learnt. These days, link building is no longer just about the link. It’s about soliciting a solid mention from a relevant and quality site that drives traffic and sales. This means taking the time to find the right sites, taking the time to find the right people, and letting go of those bad link building habits. This article from Search Engine Land provides five of those habits that you really need be letting go of. And to finish off this week – a post from our paid search manager for the Frogblogg about how we onboard new paid search clients. Welcome to a new edition of The Weekly Shop. This week we look at how Google’s search algorithm is an ongoing challenge for anyone selling online, SEO for content marketing, the future of PR newswires, and what you need to know about the Google Shopping upgrade. Our first article this week explores how Google’s search algorithm is an ongoing challenge for anyone selling online. Our commercial director, Ben, has contributed to the article and provided his thoughts on the recent Panda and Penguin updates (please note – you will need a Drapers subscription to read the article). This next article from Econsultancy looks at how content marketing and SEO should go hand in hand. Great content attracts links and can rank highly, while good SEO means the content you produce brings searchers to your site. In this article, Graham Charlton provides insight into how Econsultancy approaches SEO and content and their seven tips for success. Back in May, Google rolled out its latest Panda 4.0 algorithm update, which was again aimed at clamping down on sites with low-quality or thin content. Press release websites were heavily affected by this update which has put into question whether the days of these websites could be numbered and if press releases will have a future in digital PR. Despite all the changes we’ve seen in SEO and link building over the past few years, the qualities that make a good link have remained largely the same. This article goes back to basics and offers five fundamentals of link building that will never go away. A useful read. Earlier this year, Google released Shopping campaigns to all advertisers in AdWords, which offer a simpler and more flexible way of managing Product Listing Ads on Google. Prior to this announcement, campaigns were managed using regular Product Listing Ads (PLAs). Since Google will be retiring PLA campaigns at the end of August, our senior paid search analyst, Andy, has put together a useful checklist of important things you can action now to make sure you are fully optimised for Google Shopping. Following on from the above, there have been a lot of changes this year for product listing ads on both Google and Bing. Now we’re halfway through the year, Search Engine Land have taken a step back and explored what’s happened so far in paid search. Hello, and welcome to this week’s Weekly Shop. This week we take a look at new consumer laws, modern age SEO myths, content marketing tips for small businesses and creating a single view of stock. In retail news this this week, two sets of consumer laws have been announced that are set to have a major impact on UK retailers. The two pieces of legislation make substantial changes to consumers’ contractual rights and as a result of these changes, retailers must ensure that they comply with these new consumer laws by updating both their standard consumer agreements and consumer facing procedures accordingly. Also this week, Doodle, the UK’s first fully dedicated and staffed online shopping collection and returns service has announced it will open in 300 new locations in the next three years. Doodle operates in railway stations and major hubs, and is partnering with a number of well-known retailers including Asos and New Look. We’re looking forward to trailing the service when it launches in Brighton. Adopting a single view of your stock across retail channels is an essential precursor to a true multichannel strategy. This next article from Econsultancy provides five key factors for retailers need to consider when looking to create a single view of their stock. Here’s a good, quick read on the importance of creating a customer centric business from Clickz. The article highlights the three key questions you need to be asking yourself when migrating to a customer-centric organisation, versus a product-centric organisation. Pinterest has recently announced that it will be rolling out guided search on Pinterest over the next few weeks, as it did for its mobile app in April. Pinterest users will soon see a new search bar when they visit Pinterest.com, and just as it works on mobile, the search features will surface recommended keywords intended to help generate more specific queries and better search results. These adjustments to Pinterest functionality over time demonstrate the site’s vision for the future. As SEO has evolved in recent years, it has become clear that small businesses need to adopt the content marketing strategies that corporate marketers use to remain competitive in rankings. If you’re struggling for creative ideas for interesting new content, then this article from Search Engine Watch provides seven tips for providing outstanding content. One of the challenges that the world of SEO presents us with is its lack of clarity as search engines obscure and continuously tune their algorithms. This insightful article from Forbes aims to draw a bigger picture of how you need to process the claims that people make about SEO and debunks some of the newer myths about SEO that have emerged only in the past few years. Hello and welcome to this week’s Weekly Shop news digest. This week we take a look at content marketing tips, ecommerce copywriting, KPCB’s Internet Trends Report, Google+’s new insights reports and digitising the customer journey. Econsultancy have just released their new content guide which contains practical content marketing tips and presents the lessons they’ve learnt from ten years of writing their highly successful blog. This article gives a taster of the report and contains 15 of their indispensable tips. While we’re on the topic of content, this next article looks at five fanastic examples of copy from around the ecommerce world to inspire you, with examples from the likes of Mr Porter, onefinestay and Firebox. Every year, the tech community waits with baited breath for Mary Meeker’s annual Internet Trends report which offers key insights based on data and research across the web, mobile, TV and social which brands can use to better inform their marketing efforts, content strategies and ad planning in 2014. However, the report isn’t exactly light reading and contains 164 slides of dense data. If you haven’t got time to digest it all, then this article summarises the key facts and slides that will be of most use to social media marketers and community managers. This week, Google launched a new Insights reports feature for all Google+ pages, meaning that the company is finally starting to provide rich analytics for its social network. The insight reports data is broken down into three types – visibility, engagement and audience, so you can finally see how your Google+ content is performing and who is viewing it. This next article from McKinsey and Co looks at how companies need to take a more digitised approach to managing the consumer decision journey to keep up with rapid technology cycles and improve their multiplatform marketing efforts. The article highlights the importance of data and insight to shaping digital marketing strategies and crafting a meaningful customer experience. When building links, it’s all too easy to focus on specific link building tactics. While these tactics are great, they need to be part of the bigger picture: a link building campaign. This article helps you to take a step back and provides you with the questions that you should be asking when creating a link building campaign. In The Weekly Shop this week…20 things retailers should know about their customers, the increasing importance of m-commerce to online retailers, how eBay lost 80% of its organic traffic and how to effectively link build in 2014. Last week, we featured an article from our commercial director, Ben, emphasising the importance of customer data and insight to shaping a retail marketing strategy. To support this article, we’ve reviewed the results of a survey that we ran at the recent SheerB2B ecommerce conference which has revealed some interesting findings. Head over to Ben’s post on the Econsultancy blog to find out more. The latest results from the MRG Capgemini Quarterly Benchmarking report has shown that more than a third of all online sales are now made on a mobile device as m-commerce continues to increase its share of the UK e-retail market. These results once again highlight the increasing importance of m-commerce to online retailers in the UK. A few weeks ago Google rolled out Panda 4.0 – an update which is designed to prevent sites with poor quality content from working their way into Google’s top search results. Ebay is one company who has suffered a massive loss in organic traffic and rankings due to this update, and this article from Social Media Today explores the reasons why. Our last article this week comes from Search Engine Watch who have explored how link building still is one of the best ways to boost organic rankings, which was recently confirmed by Googe’s Matt Cutts. However, there’s a big difference between link building and link spamming and the kind of links that matter are the ones that are editorially given and this article explores some of the most effective techniques for building links in 2014.